The network type selected for use by a wireless transmitter will have a significant impact on the performance and usability of your wireless network. The main guides page provided an overview of the various pros and cons of the two basic network types. 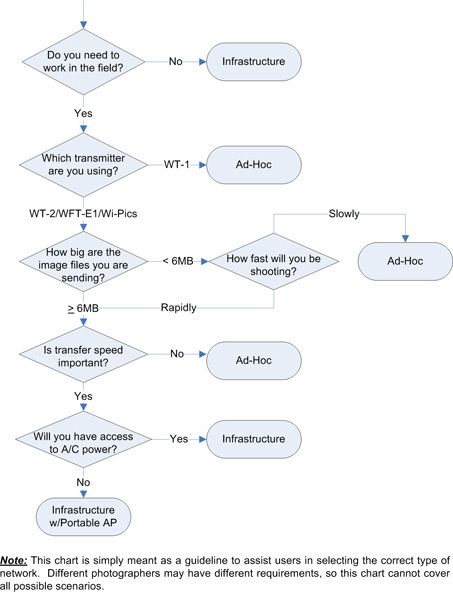 For those users who are still unsure which network configuration is better suited to their needs, we've prepared this flow chart to assist those users in the decission making process.